Virgin Australia has today announced a target of an equal intake of males and females for its 2018 Pilot Cadetship program, ensuring female representation is increased in male-dominated areas of the aviation industry. The announcement comes as Virgin Australia today launches the next round of recruitment for its Pilot Cadetship Program. 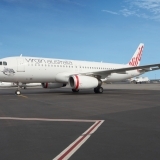 Virgin Australia’s pilot cadetship is a 54-week program conducted at world-class training facility, Flight Training Adelaide in South Australia, where cadets are trained by some of the best instructors in the industry. At the end of their training, the cadets will graduate with a Commercial Pilot Licence and will be offered roles as certified First and Second Officers with Virgin Australia. Virgin Australia Group Executive People, Lucinda Gemmell said: “Investing in the future of our next generation of pilots is a top priority. It’s important for Virgin Australia and the industry that we recruit and invest in programs such as our pilot cadetship to secure a pipeline of talent funnelling through to our airline. “In what’s typically a male dominated area of the industry, we’re encouraging more females to consider aviation as a career and apply for this excellent program. Globally, just three per cent of pilots are women. Our previous pilot cadetships have had up to 50 per cent females so we’re confident we can reach this target this year. 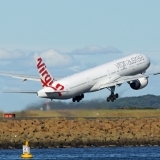 Aviation is an exciting industry and we can’t wait to welcome the next generation of Virgin Australia pilots when they commence their cadetship,” Ms Gemmell said. 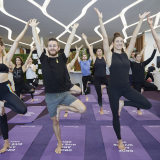 This year, Virgin Australia is offering places for two ab-initio courses, designed for those with no flying experience. 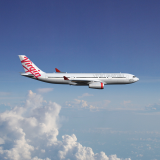 Virgin Australia Director of Flight Operations, Stuart Aggs said: “Since launching the program in 2012, we have recruited some excellent pilots and we are keen to find the next group of passionate individuals ready to take to the skies. “Our pilot cadets live on campus where they have access to world class facilities, conduct a combination of ground school and flying modules, and graduate with a Commercial Pilots Licence and a guaranteed position with Virgin Australia. We look forward to our next group of cadets joining the airline,” Mr Aggs said. 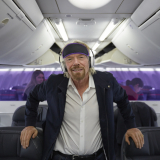 Virgin Australia is accepting applications on its website from today until 3 June 2018, for courses commencing in January and June of 2019. Find out what a day in the life of a Virgin Australia Pilot Cadet is like by watching this video here.